Design of your blog makes a large impact on visitors mind, although if you are not a coder it is very tough to make changes in your website or blog design. Newbies generally prefer to stick with the default template. But some are experimenting with custom design or custom template. 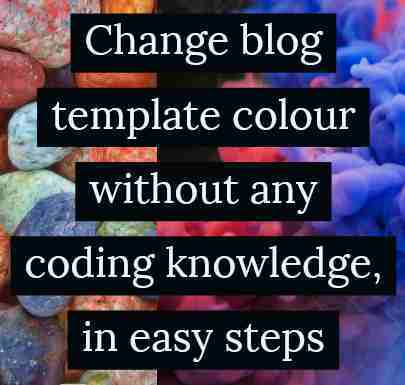 At the time of choosing custom template we finds some colour relay irritate us or some colour we want to put to do well your advertisement content or to fine tune your adsense. 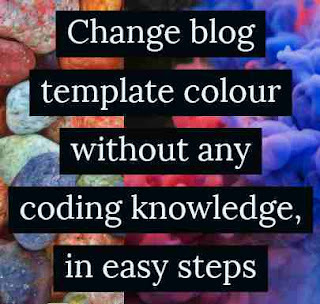 This tutorial will helps you how to change or modify colour of your blog, with some basic skill. search box, you will get a results just like shows in the below pictures. If the colour is used in multiple times you will get a multiple results. now its time to alter or change the colour with colour that you choose. highlighted code after # is a colour; I show it with the example below. Just choose wisely and save your template. Remember before starting this experiment; don’t forget to save your template. Blended colour with adsense means higher click.